Top coats are changing. 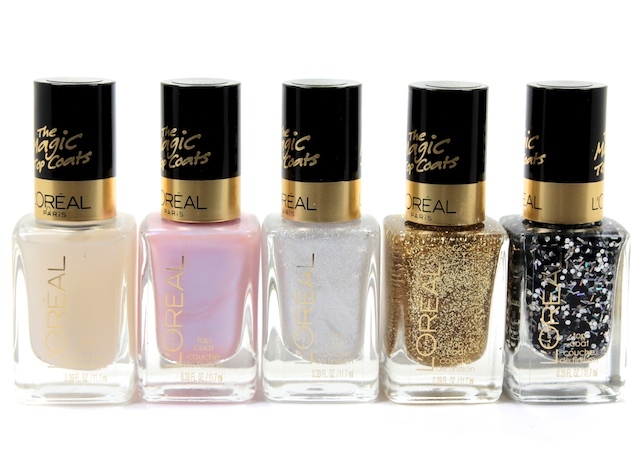 They're not just clear coats to protect your polish and add shine, they're now mattifying, bedazzling, and holographic. 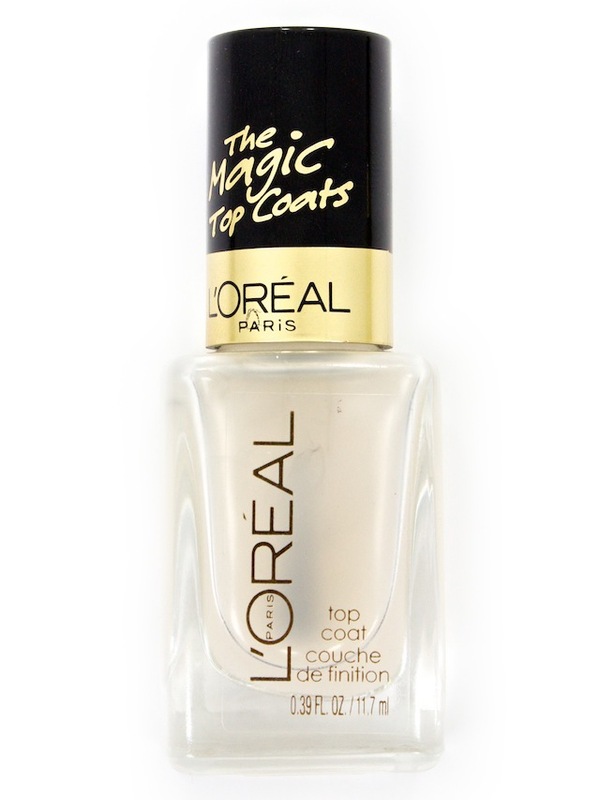 L'Oréal recently launched their own collection of Magic Top Coats. There are six different effects: the matte velvet, the shift me, the true diamond, the true gold, the sparklicious, and the holographic. I have all except the holo. While I love that holographic look, I already have two similar polishes (Essie Shine of the Times & Avon Opal top coat, so I passed on it. The other top coats intrigued me, though. 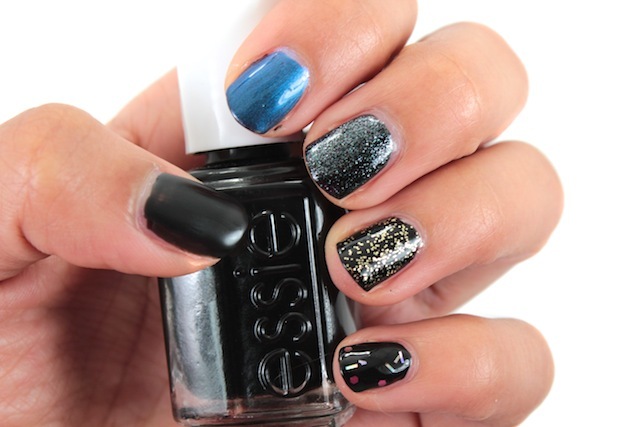 Matte nails is one of the biggest nail trends for fall. 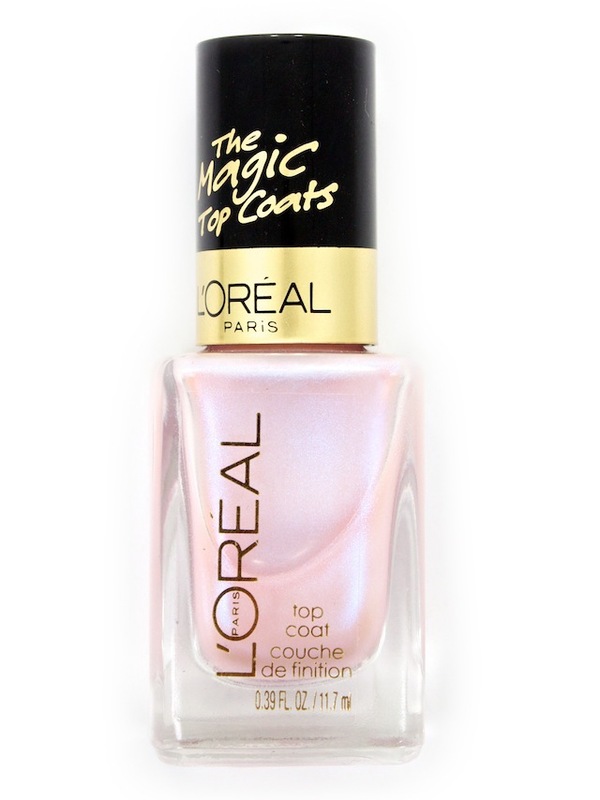 This top coat will turn any polish into a smooth velvety finish for an understated elegant look. It offers a posh flat finish. This will definitely on par with my other matte favourite, Essie Matte About You. 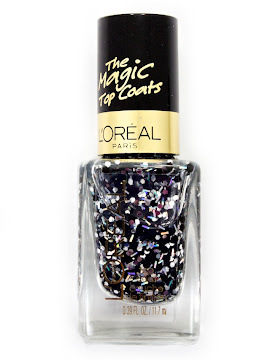 This polish adds a sheer iridescence to your nail colour. It has a pink hue in the bottle, but when applied it turns to a luminous blue tint. It is a very shifty effect. A clear base infused with silver micro glitter to add a frosted effect to any nail colour. 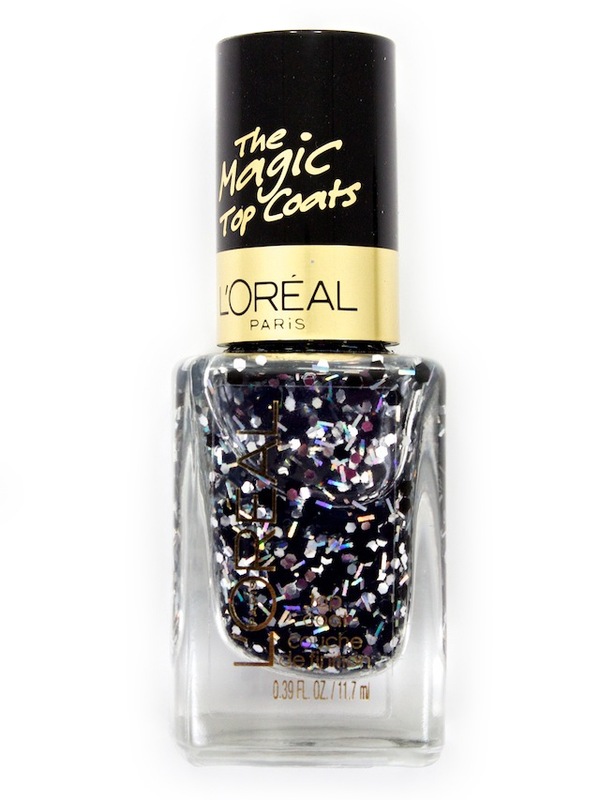 This top coat definitely allows your polish to shine bright like a diamond. A clear polish packed with tons of gold particles. Like all the other top coats, it is easy to apply. 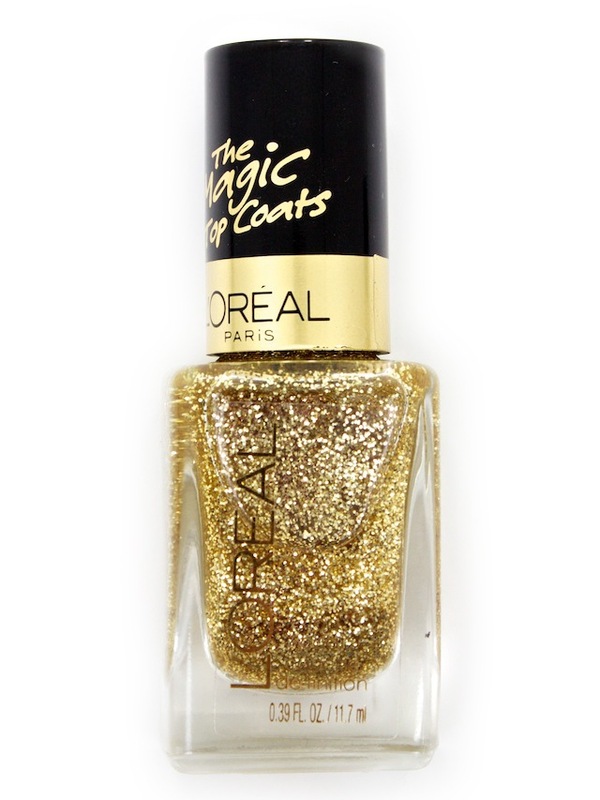 You can apply one coat for a smooth and even distribution of glitter that still allows your base colour to peek through. A confetti of black and silver bars and hexagons. The chunky glitter gives you a different look every time. 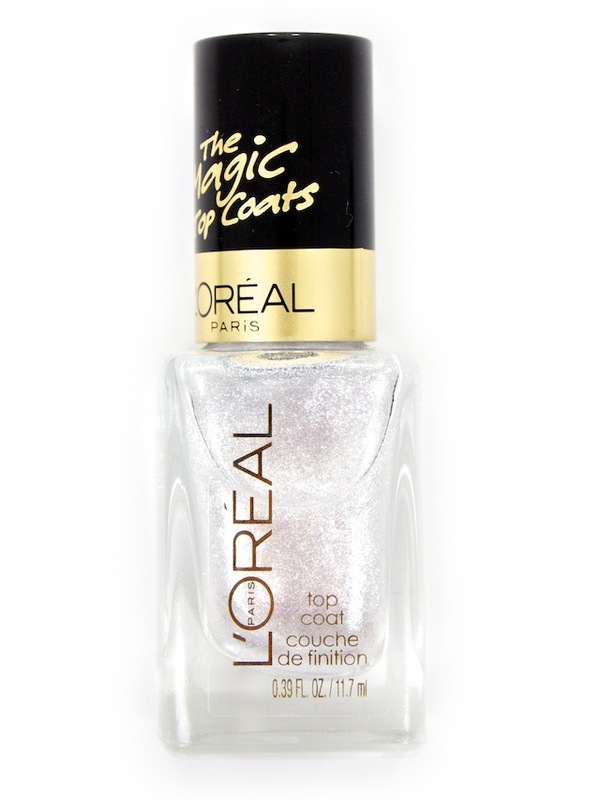 Best applied in thin layers and you may have to apply two coats to get your desired sparkle. 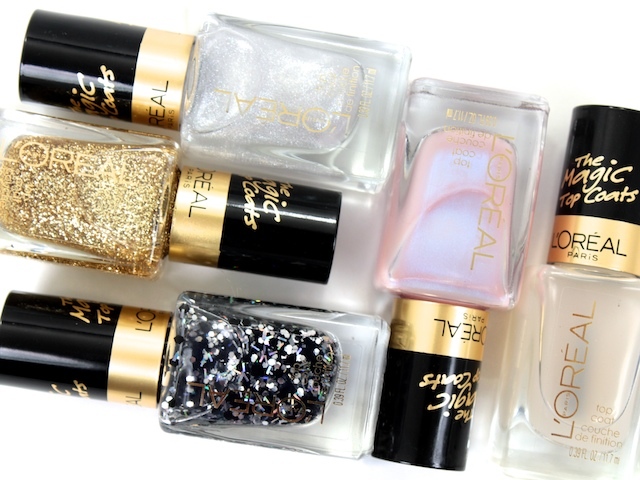 There are infinite possibilities with these top coats. Layer them over a multitude of colours, or even layer them over each other. Here's a look at how each top coat looks over three different base coats. They look so pretty - love the photographs! I think my favourites are True Diamond and True Gold. These kind of toppers are so much fun because of the way they look different depending on the base coat.